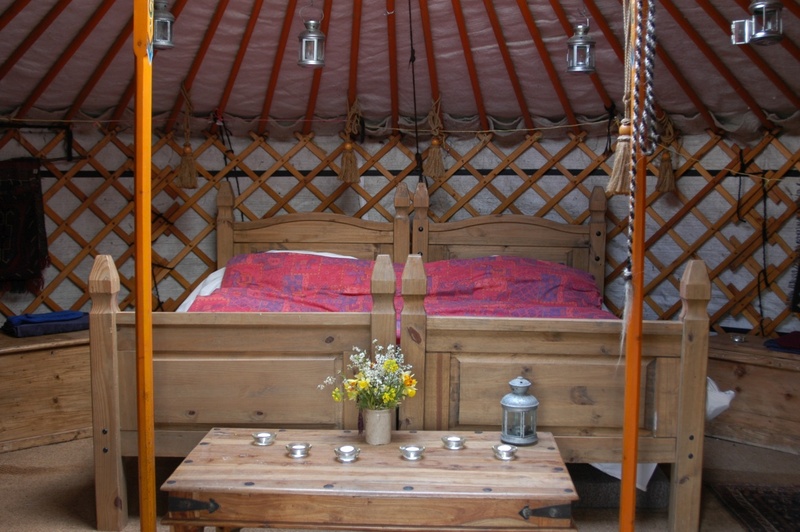 If you want a peaceful and romantic site this is the one for you……….. 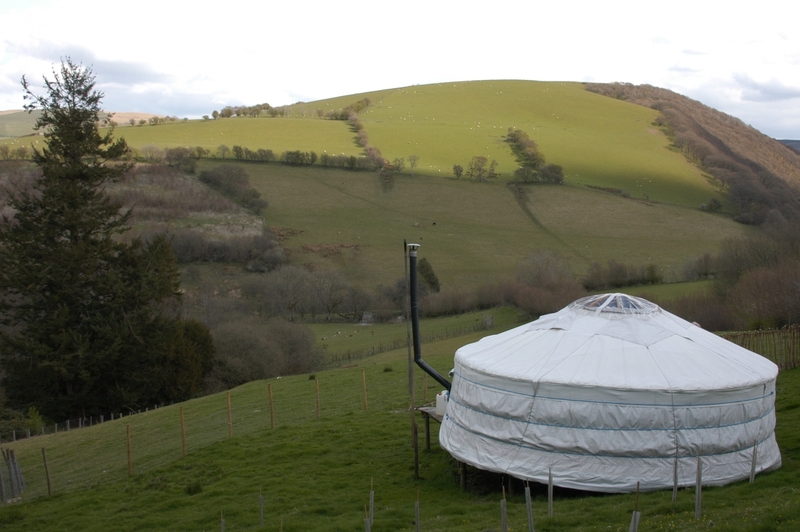 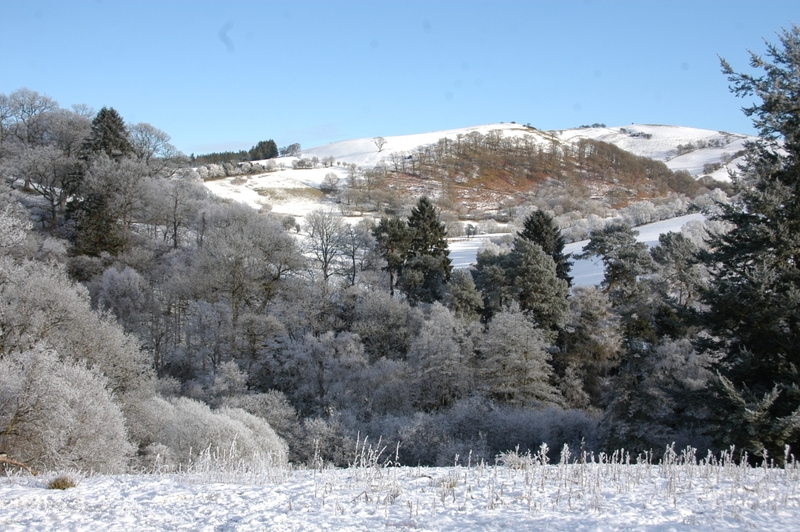 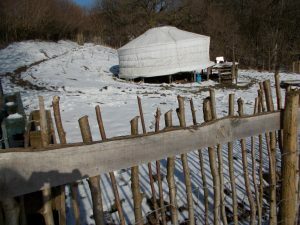 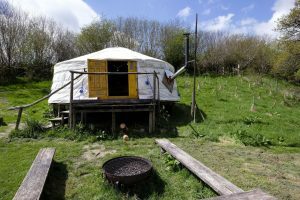 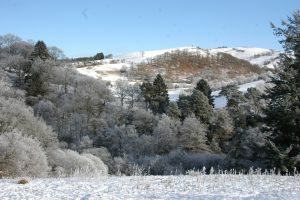 The orange yurt is set in a secluded location overlooking 3 uninhabited valleys. 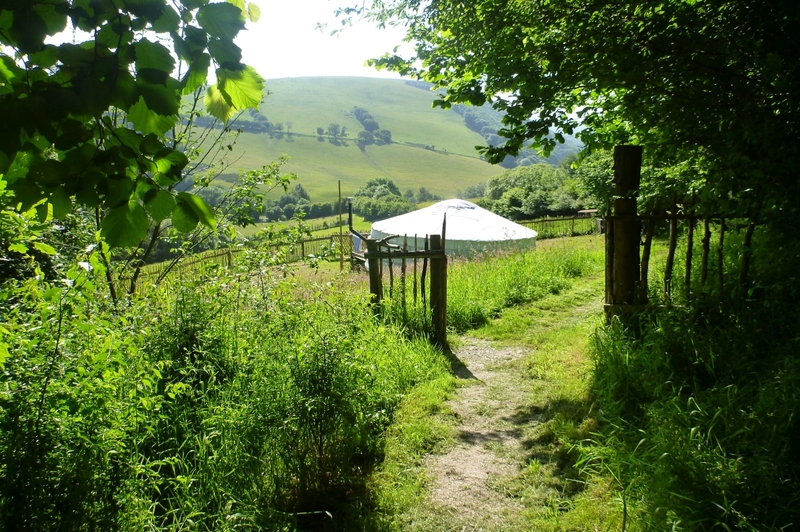 The dawn chorus on the edge of the woods is just wonderful in spring. 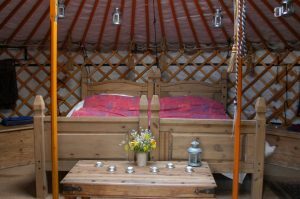 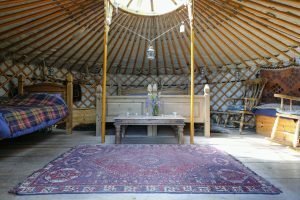 This traditional Mongolian yurt will also sleep a family – two people in a made up double bed and three on small mattresses stored under the beds for which you can bring bedding. 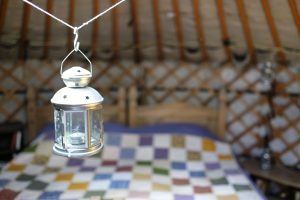 There is no electricity in the yurt, it is lit with tea lights and heated with a wood burning stove. 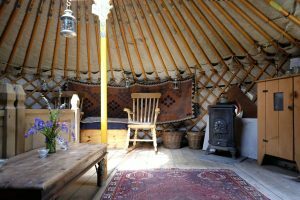 The yurt costs £400/wk or £250 for a short break in high season or £250/wk or £160 for a short break in low season. Changeover days are Mondays and Fridays – you can book from either.